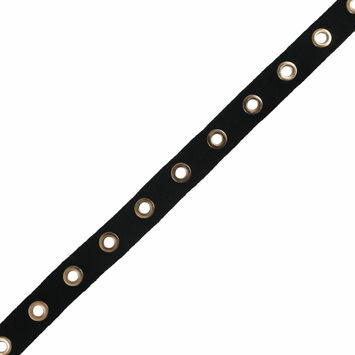 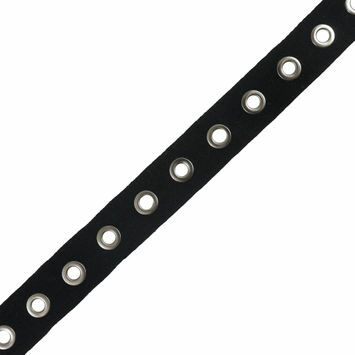 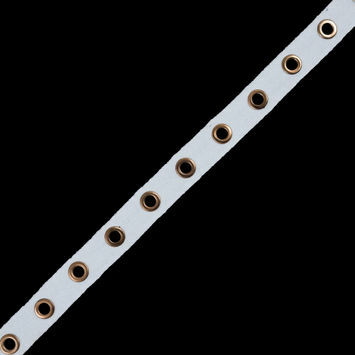 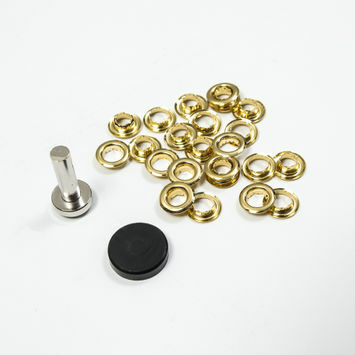 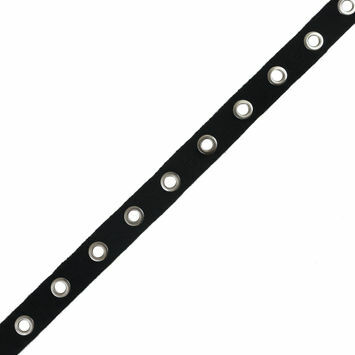 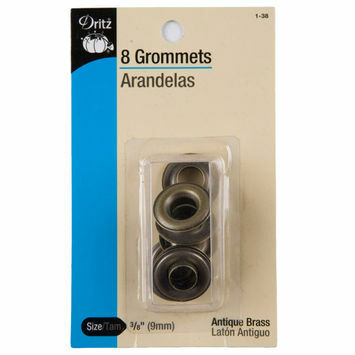 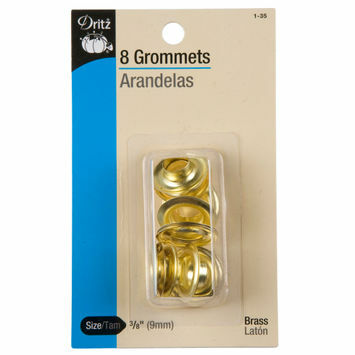 Similar to eyelets, grommets are small metal rings used to reinforce a hole in a piece of fabric. 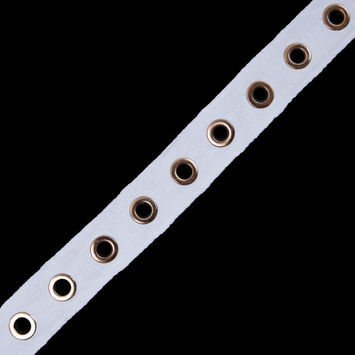 Compared to eyelets, grommets are used for more heavy-duty purposes, such as shoes, tarps, sails for lacing purposes, and more. 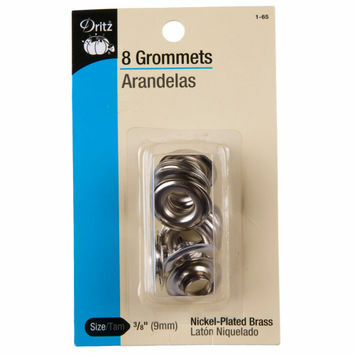 Stock up on your grommets with Mood today!